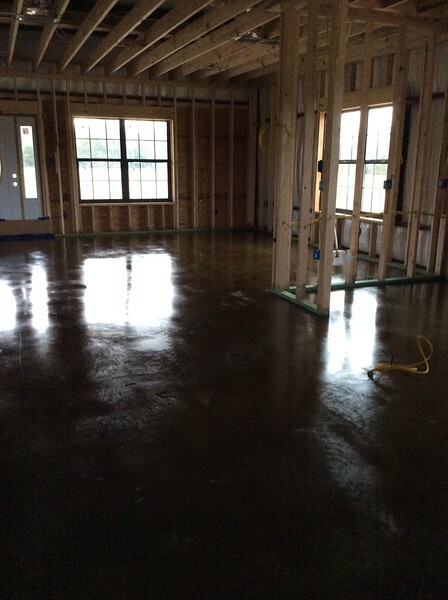 On February 28, the concrete is still drying from the sealer. 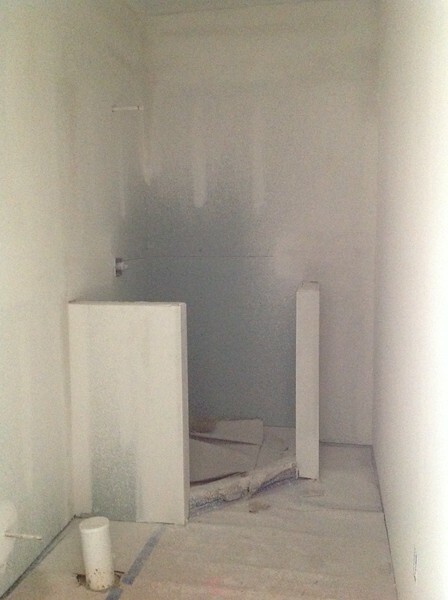 Sometimes ... things happen. 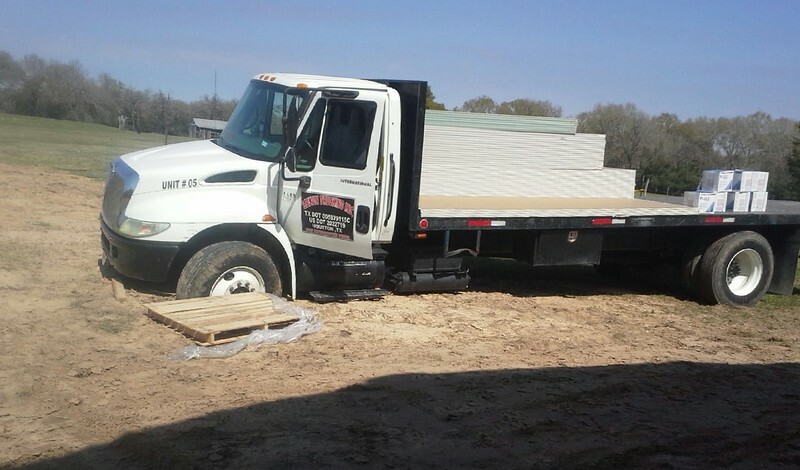 On Tuesday, March 1st, the driver delivering our sheetrock materials got stuck. 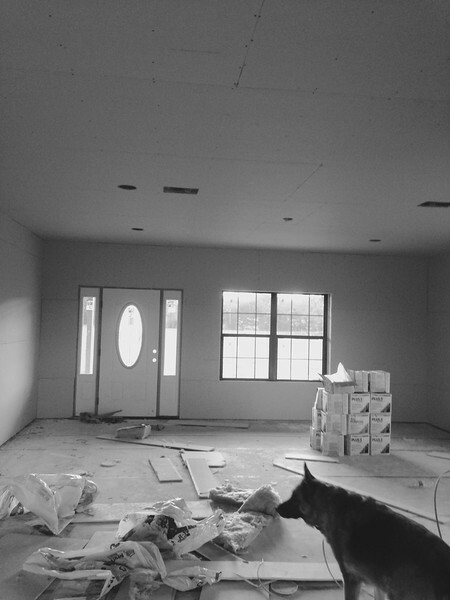 Lana checks out the living room on 3/4/15. 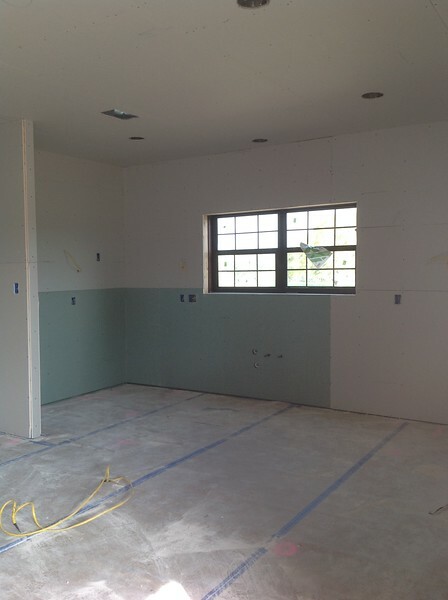 At the end of Friday on 3/4/16, the kitchen needed just a little more sheetrock. 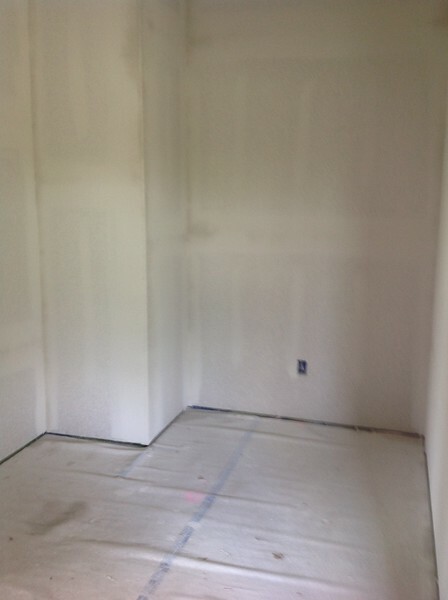 By 3/6/16, the sheetrock hanging is complete, and now it's time to be "taped & floated". 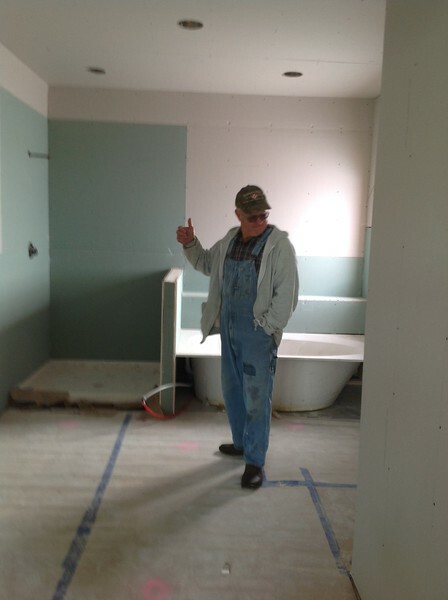 Fred gives the masterbath a thumbs up! 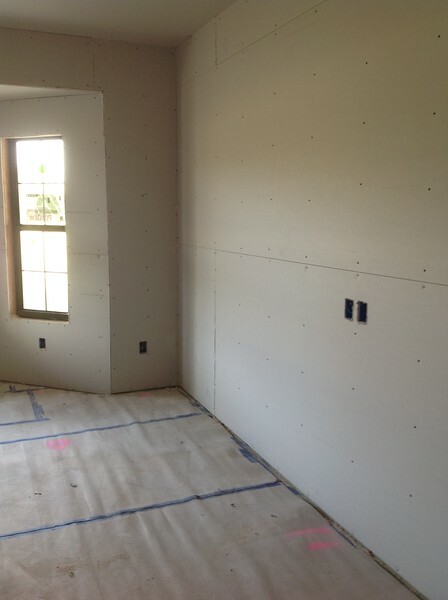 Sheetrock is up, ready to be taped and floated. 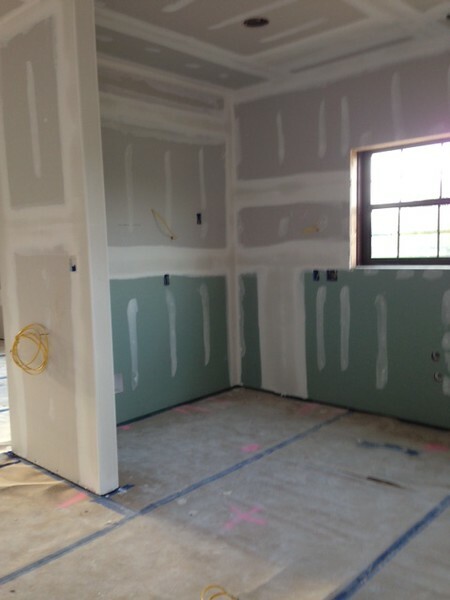 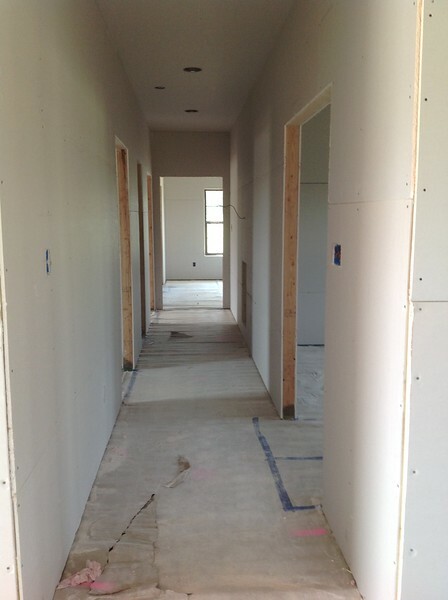 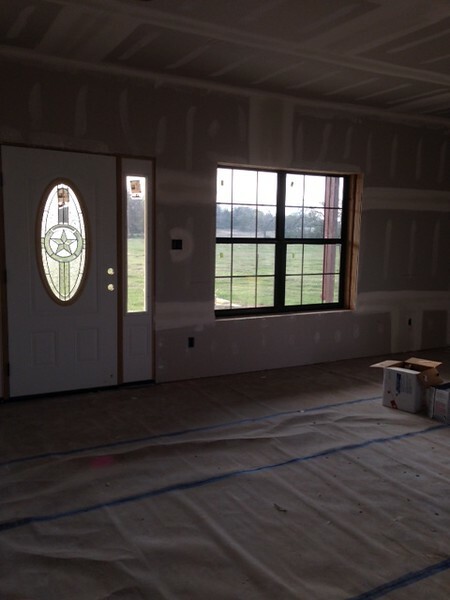 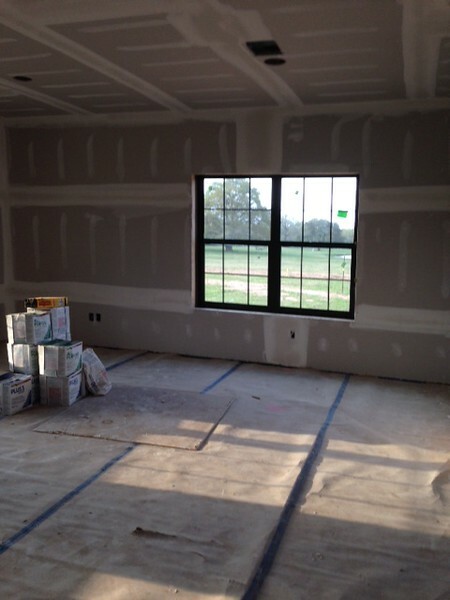 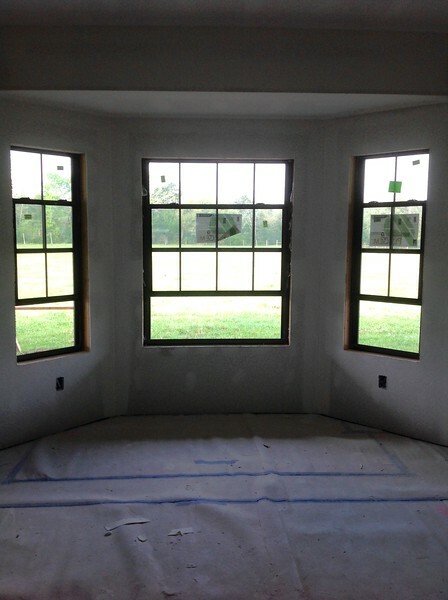 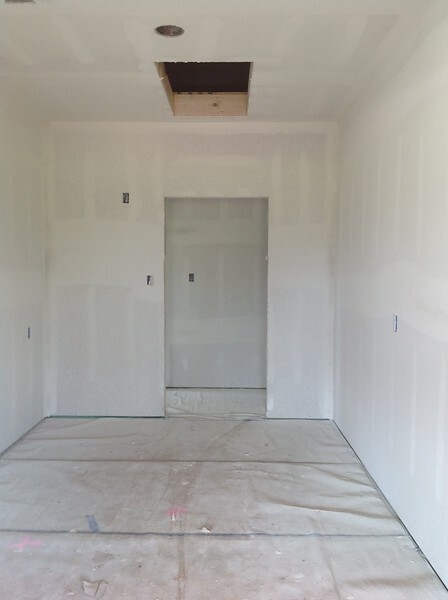 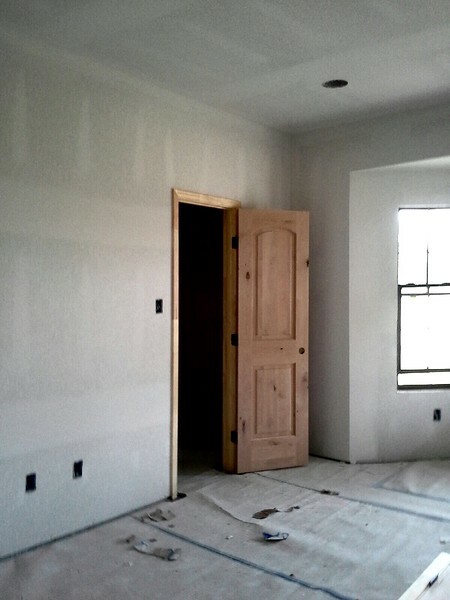 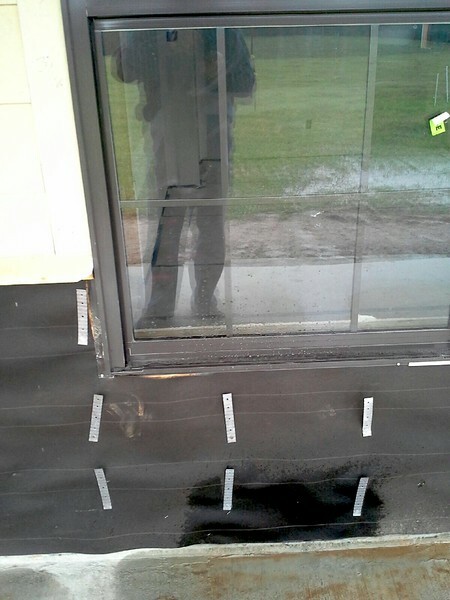 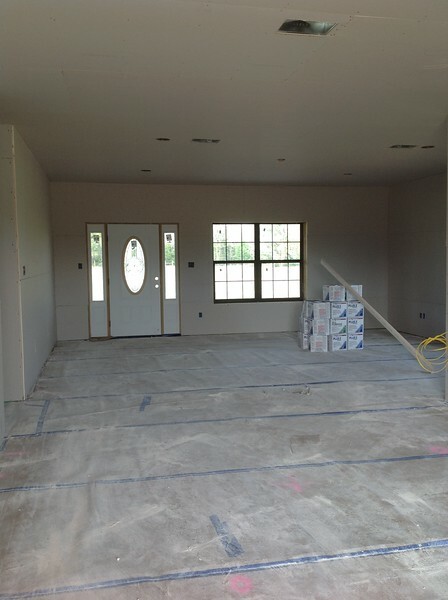 Lots and lots of rain has "dampened" progress this week, but the taping and floating of the sheetrock is in progress. 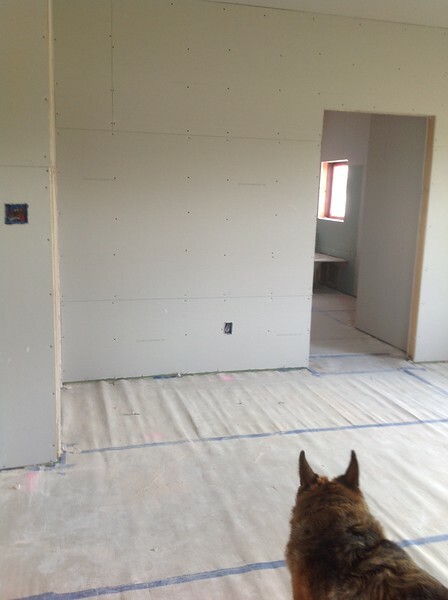 Hmmmm...something happening with rock plan. 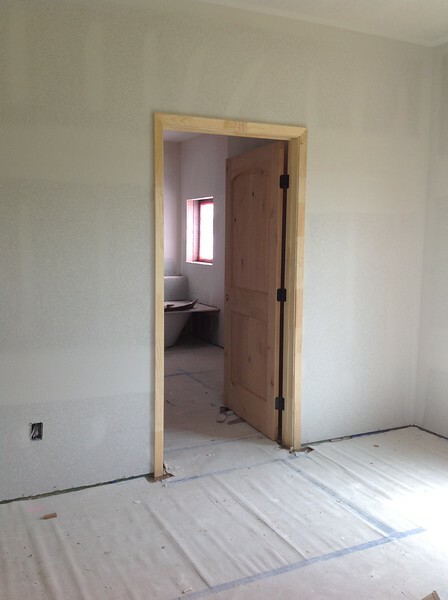 ...gets texturized with fine orange peel texture for a soft touch. 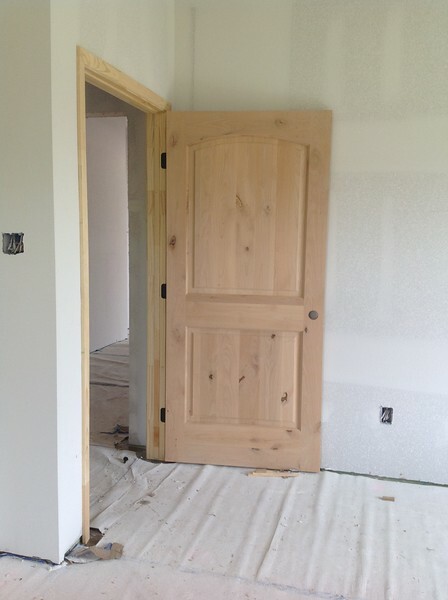 With a break in the weather last weekend, by Tuesday, 3/15/2016, with no rain in the forecast, the Knotty Alder doors and trim was delivered. 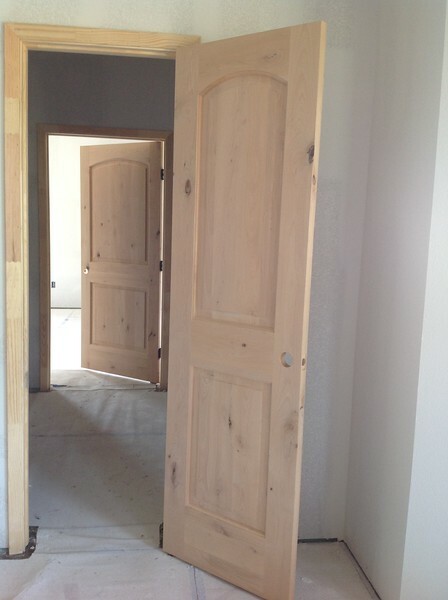 By the end of the day, most of the doors had been hung. 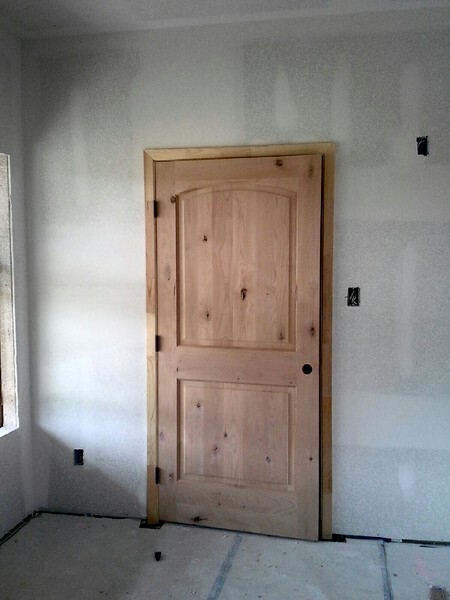 These doors are my office and the master bedroom closet doors. 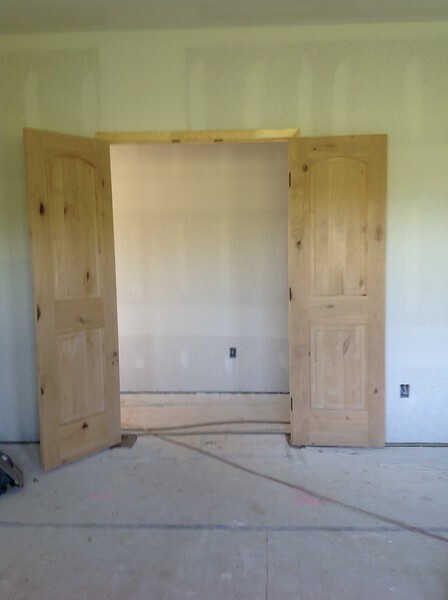 My office doors were hung this morning! 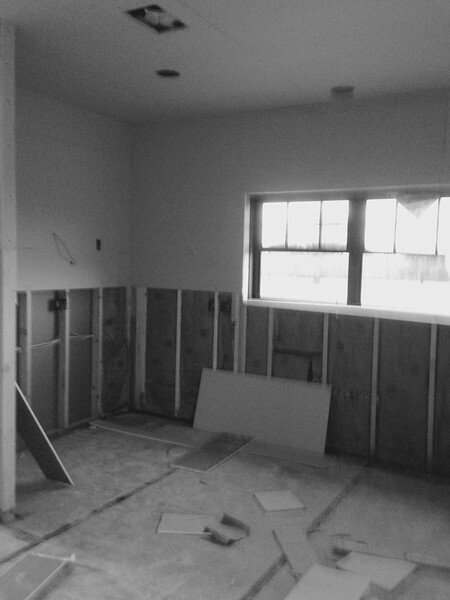 Great way to start 3/16/2016! 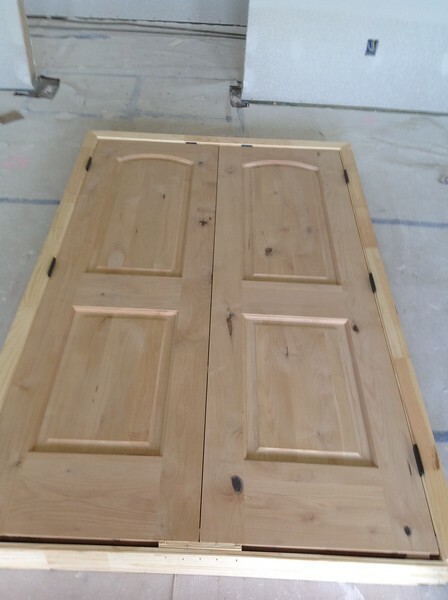 On 3/16/2016, the building of custom cabinets begin!! 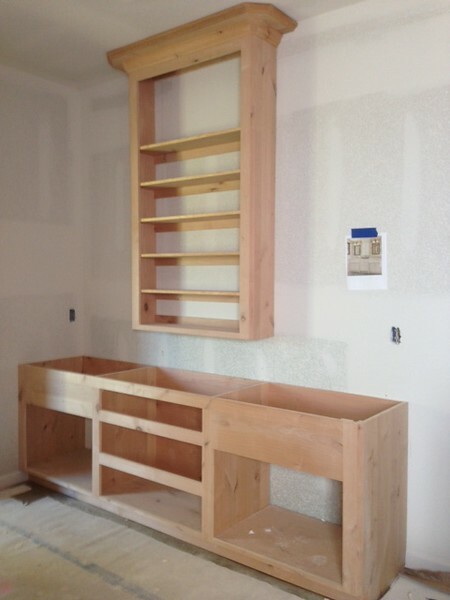 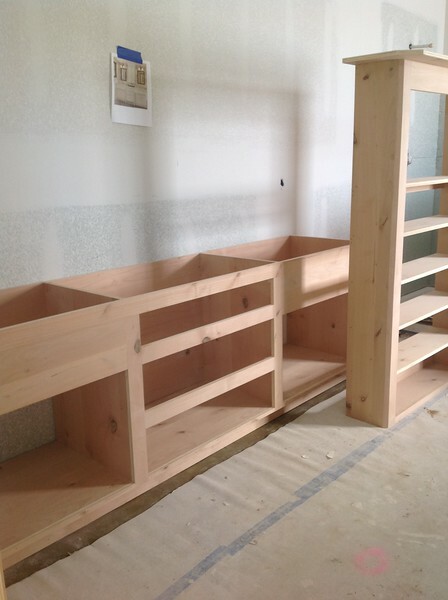 This is the vanity in the master bathroom. 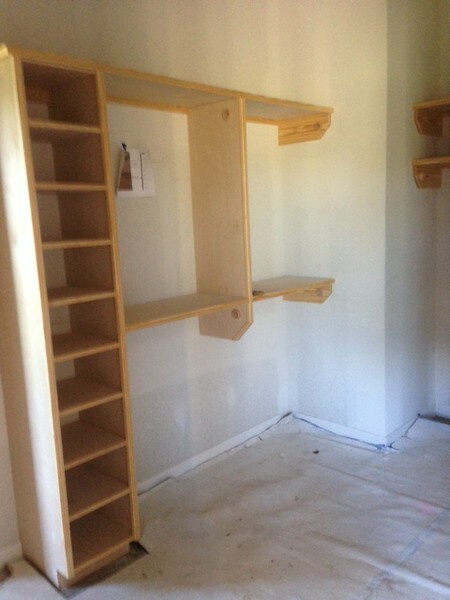 This is the shoe cubby in the master closet. 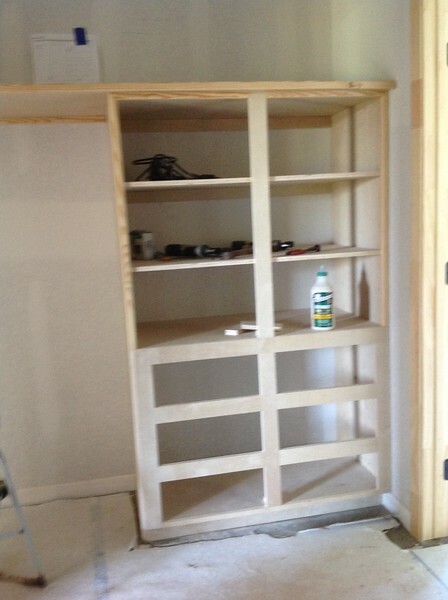 ... And a built-in cabinet in the master closet. 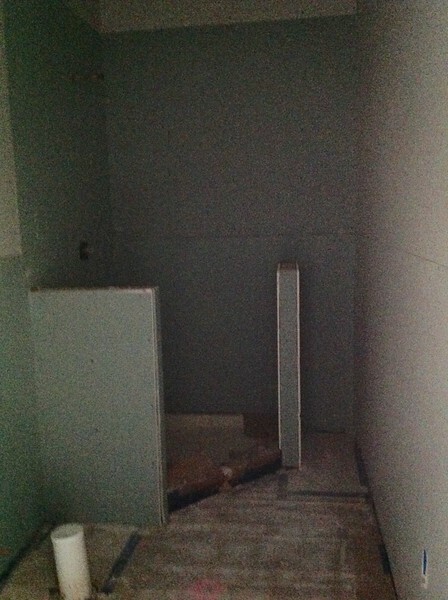 The master bath linen closet in progress on Friday afternoon, 3/18/2016. 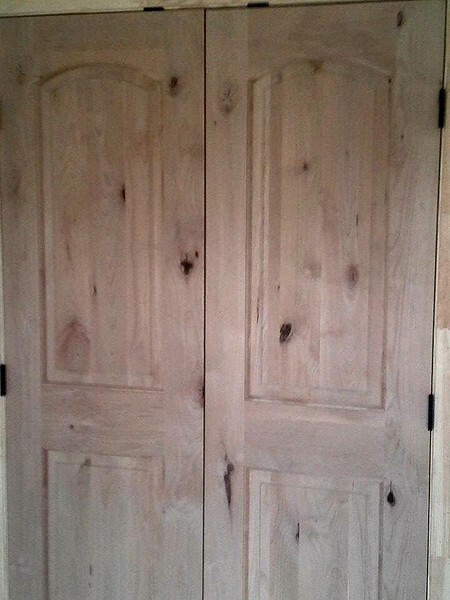 I love my office doors!!! 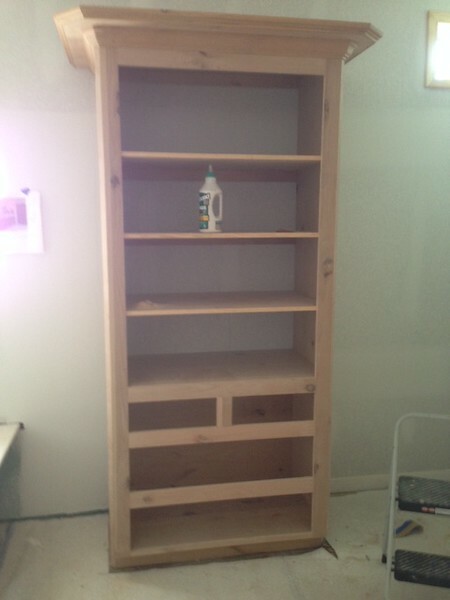 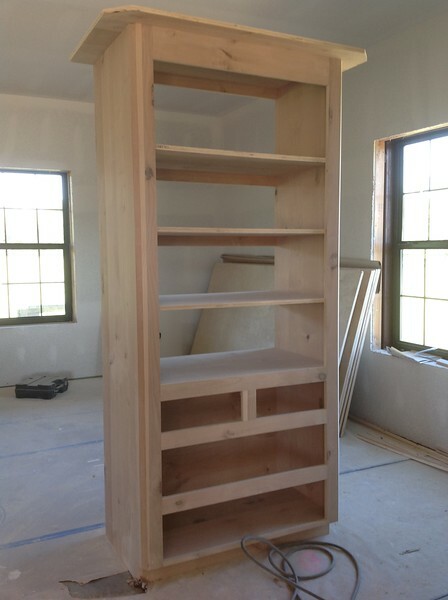 My fabulous Knotty Alder bookcase! 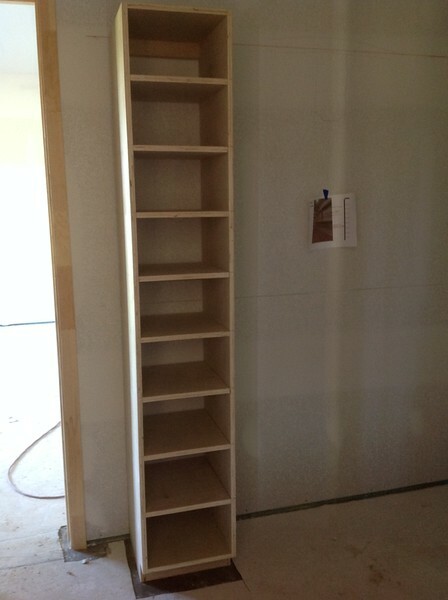 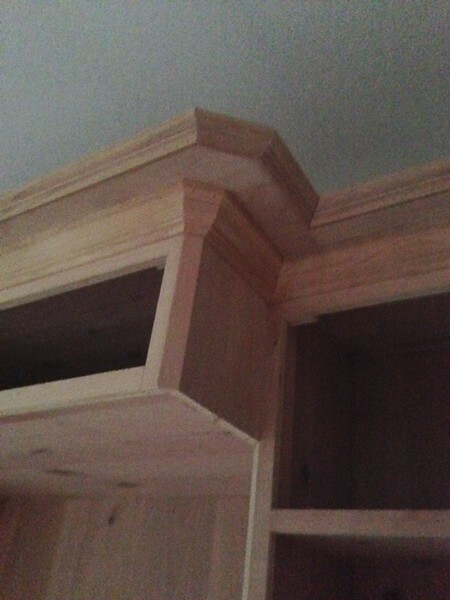 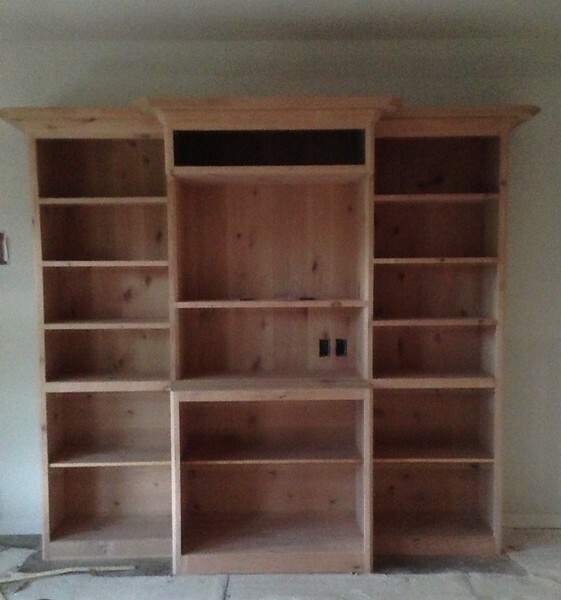 Take a look at the lovely detail on the bookcase. 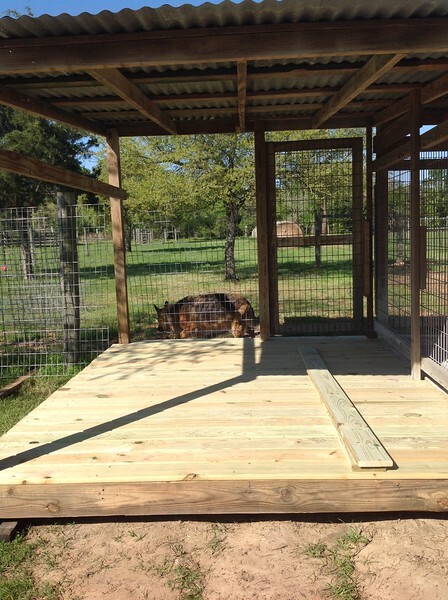 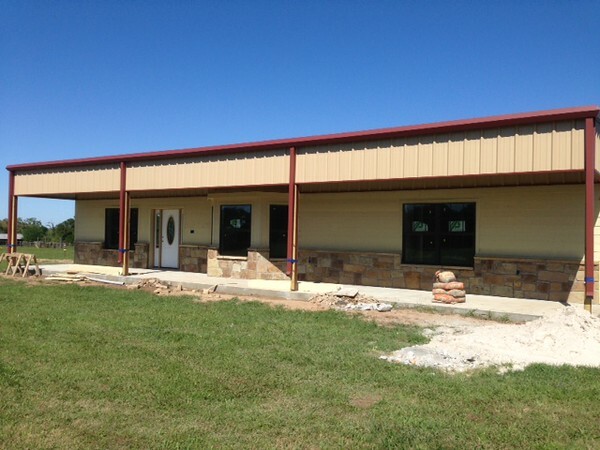 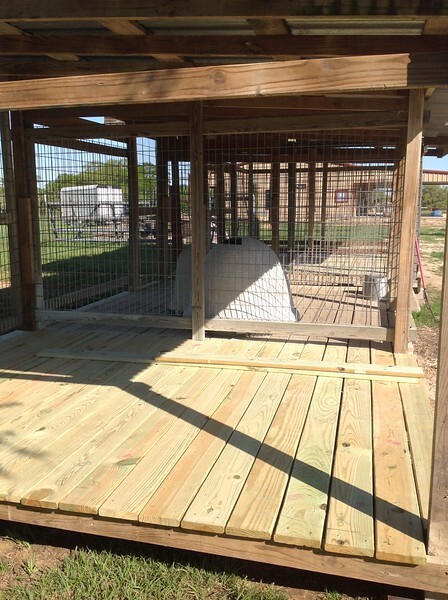 On 3/20/2016, the moving and rebuilding of the kennels is almost done! 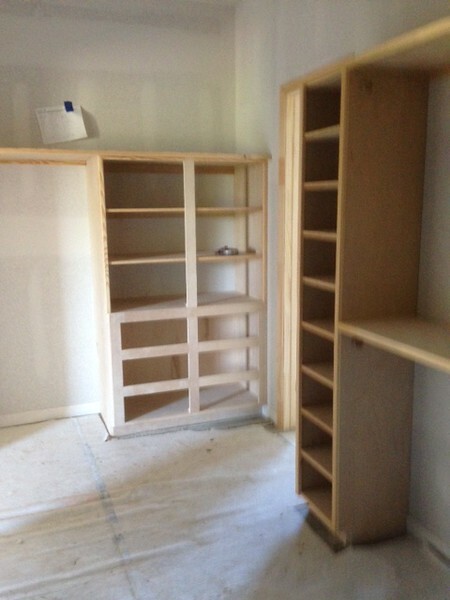 This is one side of the master bedroom closet! 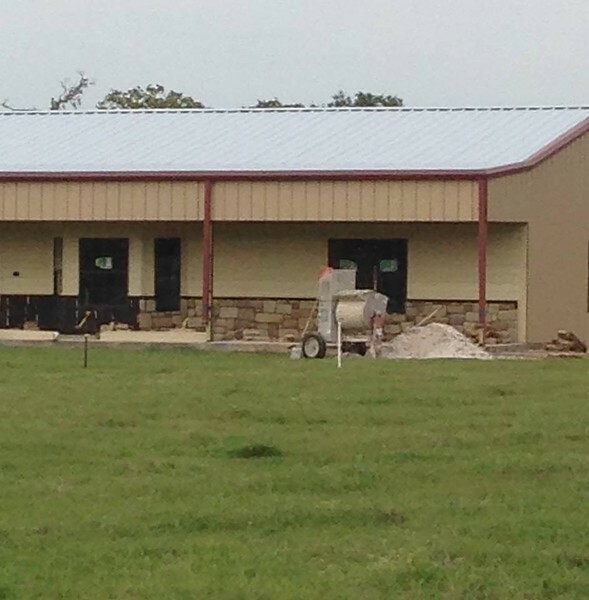 On 3/19/2016, the Rock and mortar arrive! 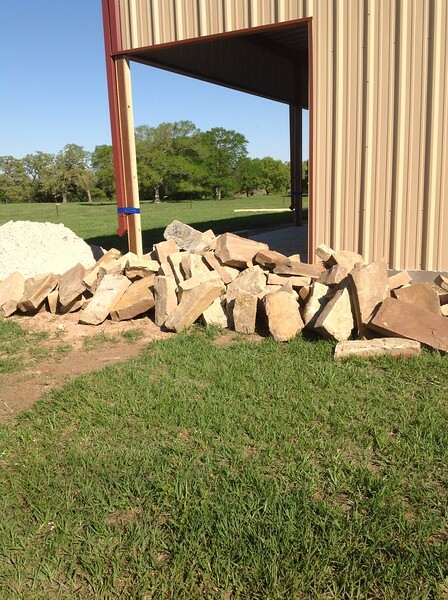 On 4/2/2016, the rock layers finished the rock on the front of the house. 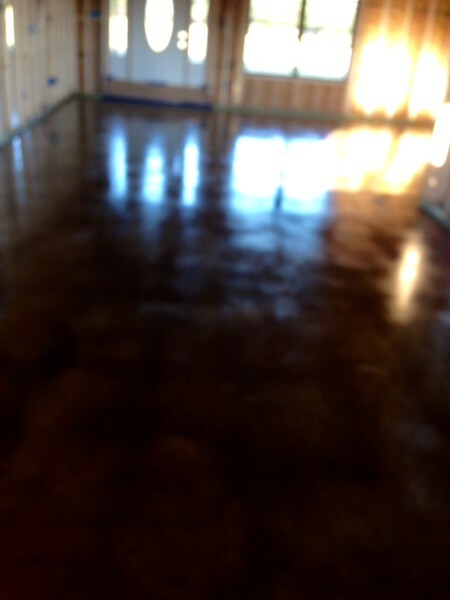 And it looks great! 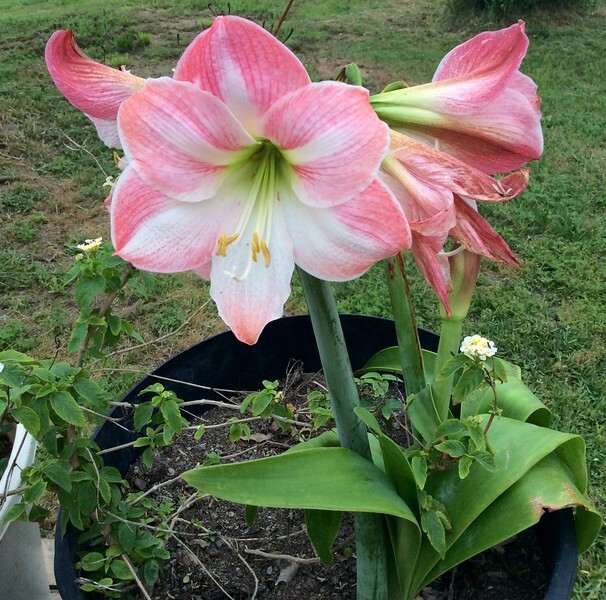 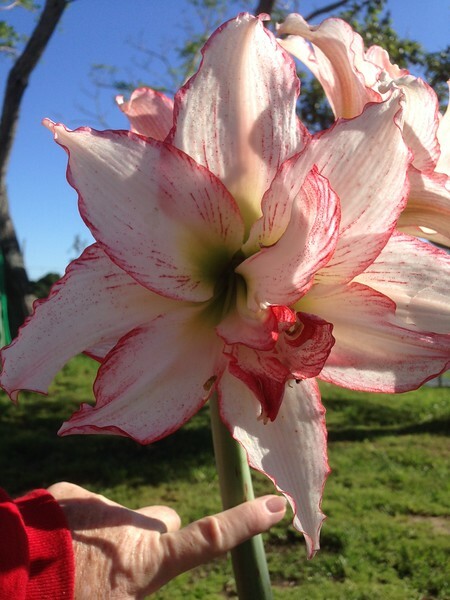 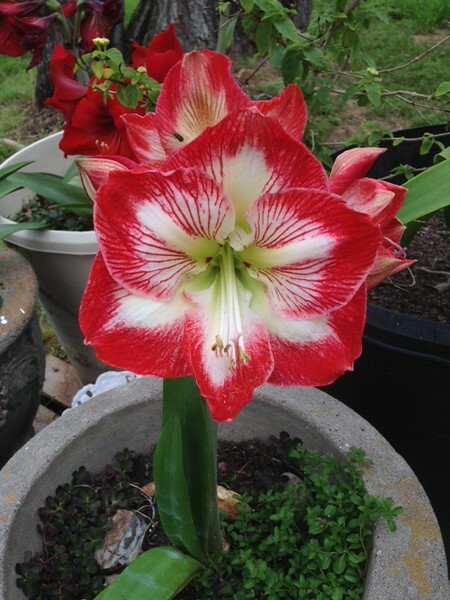 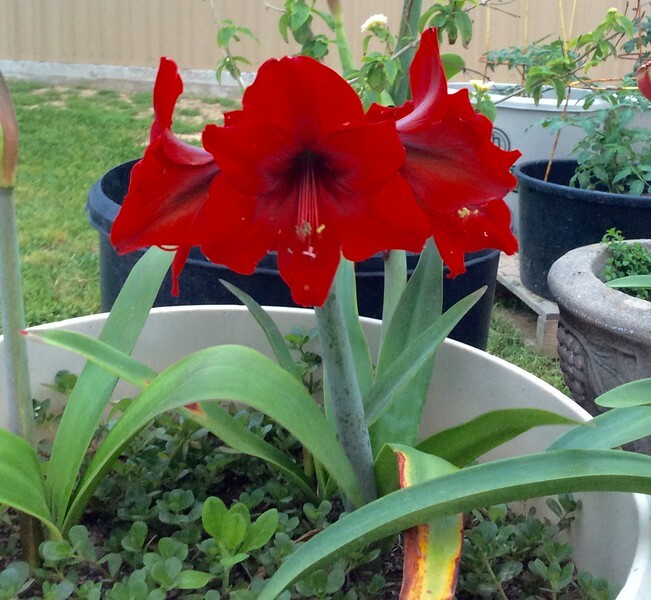 Even though I have potted them up and moved them, my Amaryllis are blooming like crazy!